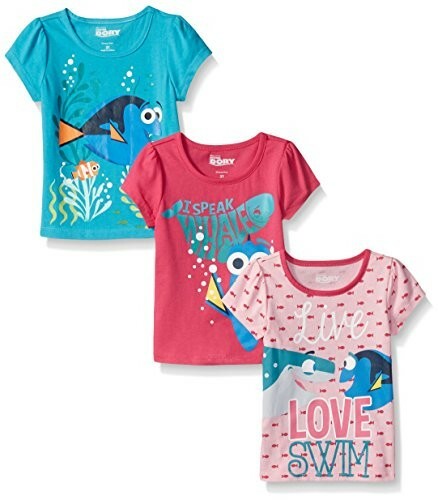 Celebrate her love of Dory with this 3-pack of T-shirts that comes in two different designs! 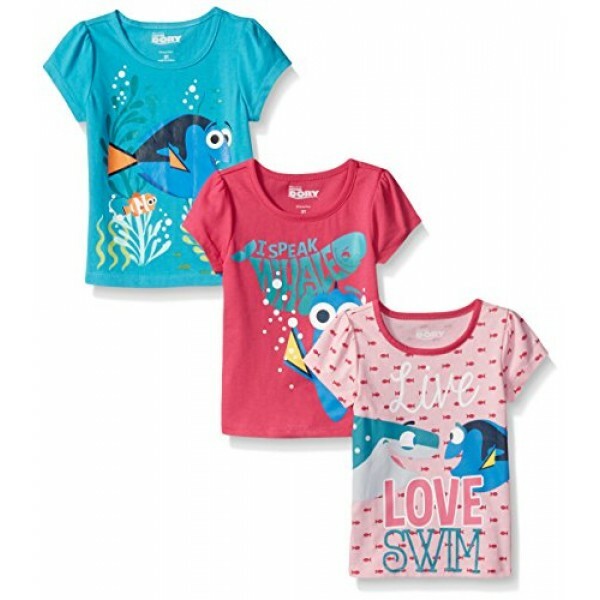 These 100% cotton, officially licensed T-shirts are comfortable to wear and feature bright, fun graphics with glitter accents. 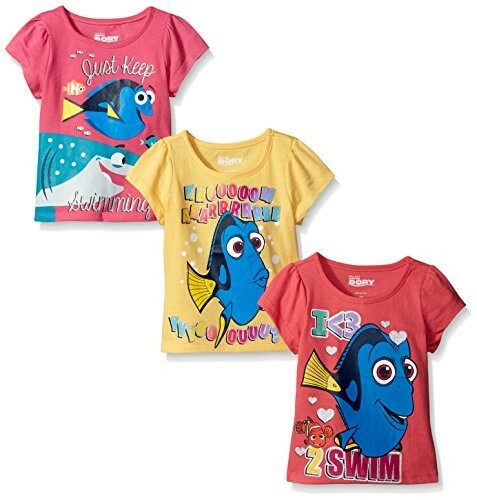 Available in toddler sizes 2 and 3 and kid's sizes 4, 5, 6, and 6X.